It’s beginning to look a lot like gift-giving season! Everywhere you go, you’re sure to find things that remind you of someone on your nice list. But just in case you want to skip right to the good stuff, we’ve put together a few things that you may want to add to your letter to Santa this year. Perfect for the jetsetter in your life! Bon Voyage offers 10 Young Living personal care products in an attractive, custom bag. All products are TSA-compliant and are perfect for sharing your favorite products wherever you travel. Cold winter mornings just wouldn’t be the same without a warm mug of tea to start your day. That’s why this set comes complete with two exclusive mugs, a full 16-ounce bag of Organic Dried Wolfberries, and a recipe card of your soon-to-be-favorite tea. If there’s a beardy man on your shopping list, this one’s just for him! Featuring the same scent and constituents of the original Shutran blend, this beard oil helps tame and condition even the gnarliest facial hair. 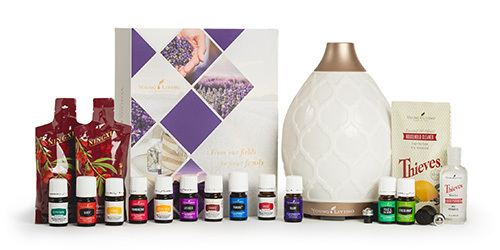 Another gift set that was made for giving, this collection includes 5-ml bottles of Lavender, Tea Tree, and Frankincense essential oils, each of which are treasured for their skin-loving properties. Combining favorite scents of the season (Orange, Cinnamon Bark, and Spruce), Christmas Spirit instantly transforms your home into a winter wonderland when diffused. 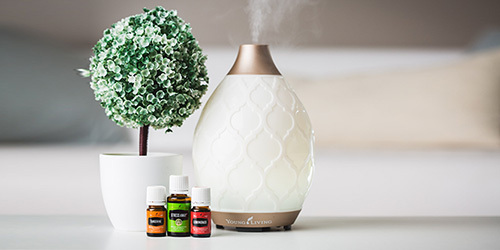 Don’t have a diffuser? You’ll love our Aria™, Dewdrop™, and Home diffusers so much that they might not even make it under the tree. 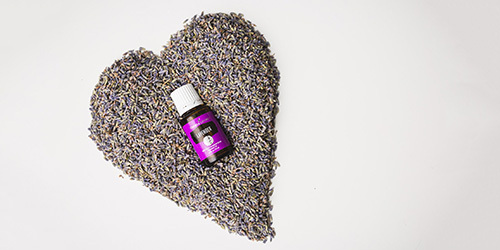 The spicy, invigorating taste of Thieves essential oil has never been easier to take on the go! When you’re rushing from party to party and from hug to hug, your breath will thank you for bringing these mints along for the ride. 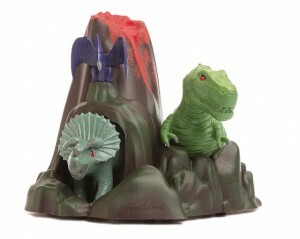 The children in your life are going to light up when they see these fun diffusers under the tree, either Dino Land or Dolphin Reef! Both of these cool designs come with interchangeable covers, so you can switch them whenever you like. Is it too early to start thinking about New Year’s resolutions? If drinking more water and staying hydrated is on your goal list for 2017, get things started now with this Young Living-branded thermos, which includes a 5-ml bottle of Peppermint Vitality. NextThe Results Are In: See How Slique CitraSlim Measures Up!